Babies are beautiful bundles of joy, but this does not mean that you should neglect your personal hygiene and care. Always make sure to take care of yourself with both doctor and dental visits. A baby means a lot of new things with your family life, but it also means that your teeth need to be cleaned and an exam should be done to check for problem areas that might have occurred over the course of the pregnancy. Pregnancy can take a lot out of a woman. The baby takes a lot of vitamins and minerals, which is why taking vitamins while pregnant is a big recommendation. When this happens, the vitamins that would normally make your teeth healthy and strong might not be doing their job as well. They're going to the baby that is growing. 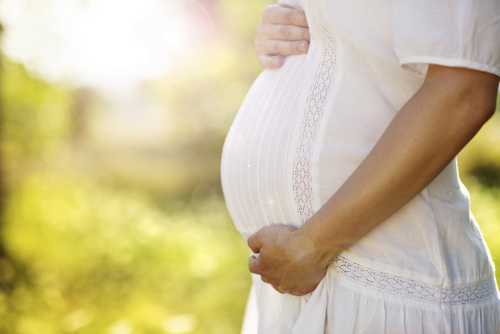 Pregnant women are more susceptible to plaque buildup, softer teeth and more cavities. When this happens, the woman will have to visit the dentist. Once the woman has the baby, it is important that she follows up with the dentist to have any and all work done that might have been missed while pregnant. She can then have a healthier, happier smile. Continue to take the vitamins after you have a baby to ensure that you're able to bounce back and also keep the integrity of your teeth together. Call us today to schedule a cleaning and exam. We can set something up for you to make sure that you have the work that needs to be done, as well as a cleaning to remove any and all build up that might be on the teeth. You should feel good about your smile and you can with a little help from our professional dentists. If you have any questions or would like to schedule an appointment, please call us at (928) 277-0076 today.